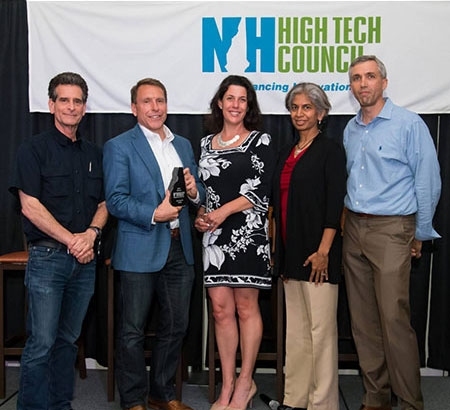 On June 13, the NH High Tech Council will honor a founder, owner or manager of a New Hampshire business who has successfully organized, developed or managed a technology-based concept into a commercial product or service. Last year, the Entrepreneur of the Year award was given to Jay Jacobs, owner and CEO of Rapid Manufacturing in Nashua. 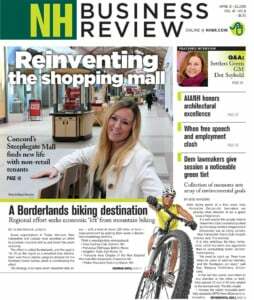 In its 30th year, the annual Entrepreneur of the Year award attracts more than 300 influential leaders of tech-based companies from across the region and remains a top networking events for those in or interested in New Hampshire’s technology sector. The awards program promotes high tech business development and honors New Hampshire’s leading technology entrepreneurs by calling attention to their success, and encouraging the formation of the next generation of high technology ventures. This year’s keynote speaker is video game pioneer Steve Golson, the inventor of Ms. Pac-Man. The celebration will be held on Wednesday, June 13 from 5:30 to 7:30 p.m. at The Crowne Plaza (soon to be DoubleTree by Hilton) in Nashua. The application deadline for Entrepreneur of the Year has been extended to Friday, May 11. To be eligible to receive an award, the applicant must be an owner/manager who is primarily responsible for the recent performance of the company and an active member of top management. The business may be a sole proprietorship, partnership, limited liability company, or corporation, or a subsidiary or division thereof, based in New Hampshire, must must be at least two years old. For more information on eligibility and to apply, click here.